CLEAN 1-OWNER CARFAX, LEATHER, GREAT SERVICE RECORDS, AND MORE! AUTOMATIC, POWER PACKAGE, ALLOY WHEELS, AND MORE! AUTOMATIC, ALLOY WHEELS, POWER PACKAGE, AND MORE! AUTOMATIC, POWER PACKAGE, BLUETOOTH, AND MORE! SUNROOF, ALLOY WHEELS, POWER PACKAGE, AND MORE! 3RD ROW SEAT, LEATHER, DVD, BACK-UP CAMERA, AND MUCH MORE! CLEAN CARFAX, 20" RIMS, POWER PACKAGE, AND MORE! CLEAN 1-OWNER CARFAX, DVD, NAVIGATION, POWER SLIDING DOORS, AND TONS MORE! SWEET RIDE, AUTOMATIC, ALLOY WHEELS, POWER PACKAGE AND MORE! ALL-WHEEL DRIVE, BACK-UP CAMERA, GREAT CONDITION! CLEAN CARFAX, SUNROOF, ALLOY WHEELS, AND MORE! 4X4! BORN AND RAISED IN SOUTH CAROLINA! NEW BUMPER WILL BE INSTALLED! CLEAN CARFAX, SUNROOF, LEATHER, NAVIGATION, AND LOTS MORE! Email for the $10K KRAZY PRICE! CLEAN CARFAX, ALL-WHEEL DRIVE, SUNROOF, LEATHER, AND MORE! 1-OWNER CARFAX, SUNROOF, LEATHER, ALLOY WHEELS, AND MORE! AUTOMATIC, POWER PACKAGE, AND MUCH MORE! CLEAN 1-OWNER CARFAX, ALL-WHEEL DRIVE, ALLOY WHEELS, AND LOTS MORE! SUNROOF, LEATHER, LIFT KIT, FUEL RIMS, AND MORE! SUNROOF, LEATHER, ALLOY WHEELS, AND MORE! AUTOMATIC, ALLOY WHEELS, POWER PACKAGE, CRUISE, AND MORE! BLUETOOTH, ALLOY WHEELS, POWER PACKAGE, AND MORE! CLEAN CARFAX, AUTOMATIC, POWER PACKAGE, AND MORE! CLEAN CAR! SUNROOF, LEATHER, ALLOY WHEELS, MINOR CARFAX, AND MORE! CLEAN 1-OWNER CARFAX, BACK-UP CAMERA, POWER DRIVER'S SEAT, AND MUCH MORE! SV MODEL, POWER PACKAGE, ALLOYS, CRUISE, AND MORE! GOOD CONDITION AND MOTOR RUNS GREAT! 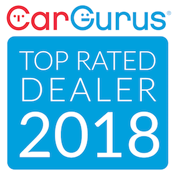 1-OWNER CARFAX, AUTOMATIC, AUX, USB, AND MORE! SV MODEL, POWER PACKAGE, BACK-UP CAMERA, AND MORE! AUTOMATIC, POWER PACKAGE, CRUISE, BACK-UP CAMERA, AND MORE! CLEAN CARFAX! V8 POWER, SUNROOF, LEATHER, AND RUNS GREAT! OWN THIS FOR ONLY $68.00 A WEEK JUST ASK ME HOW. CLEAN 1-OWNER CARFAX, AUTOMATIC, BACK-UP CAMERA, AND MORE! CLEAN CARFAX, AWD, 3.5L V6, 20" ALLOY WHEELS, AND MORE! 1-OWNER CARFAX, AUTOMATIC, POWER PACKAGE, AND MORE! CLEAN CARFAX, SUNROOF, LEATHER, ALLOY WHEELS, AND MORE! CLEAN CARFAX, LEATHER, ALLOY WHEELS, BLUETOOTH, AND MORE! AUTOMATIC, SUNROOF, LEATHER, AND MORE! 1-OWNER CARFAX! SUNROOF, LEATHER, ALLOY WHEELS, AND TONS MORE!